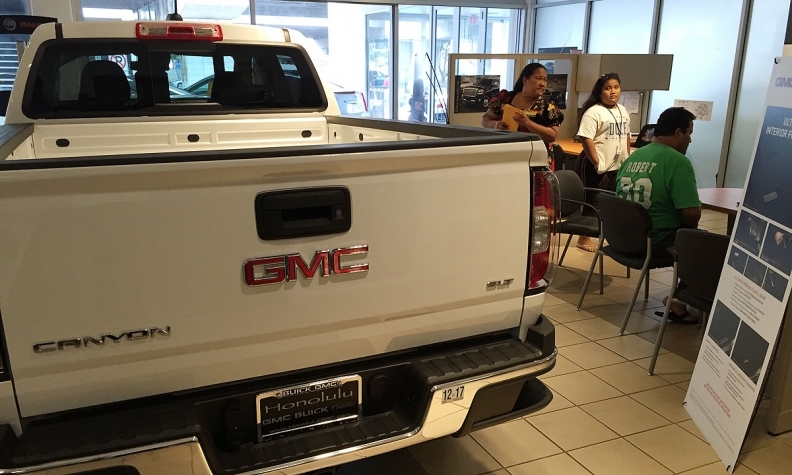 U.S. new-vehicle transaction prices rose 2 percent year over year to a monthly record of $35,309 in December, Kelley Blue Book says, reflecting the shift in consumer demand from cars to trucks and utility vehicles. GM today estimated the December SAAR at 18.2 million, which would deliver a record year for the industry. U.S. light-vehicle sales, led by fatter discounts, strong light-truck demand and solid gains at General Motors, Nissan and Honda in December, hit a record high in 2016. Overall sales rose by more than 56,000, or 0.3 percent, over the 2015 record. It was the seventh straight year of sales gains, an impressive streak and rebound for an industry that was down on its heels during the Great Recession. Volume rose 3 percent in December, well ahead of forecasts, pushing 2016's final sales tally to 17,539,052 cars and light trucks. The seasonally adjusted, annualized sales rate hit 18.38 million, the highest pace of the year and fifth-highest of all time. Prior to today's results, analysts polled by Bloomberg projected that industrywide deliveries would come in at a seasonally adjusted annualized rate of 17.6 million. U.S. light-vehicle sales totaled 15.85 million through November. That was just 6,418 ahead of the year-earlier pace, a clear sign the market had hit a plateau. Yet there was apparently more steam left for December than analysts expected. Volume rose 10 percent at GM for a second straight month. Nissan Motor Co. advanced 9.7 percent and American Honda posted a 6.4 percent gain. Toyota Motor Corp. rose 2 percent and Ford Motor Co. edged up 0.1 percent, while Fiat Chrysler recorded its third straight double-digit decline. All four of GM’s U.S. brands rose. Chevrolet led the way with a 13 percent increase, followed by GMC (5.8 percent), Cadillac (3.2 percent) and Buick (2.8 percent). GM said its rental sales rose in December but finished 2016 down nearly 74,000 vehicles, or 18 percent, compared with 2015. The company said its retail deliveries -- a key priority in recent years -- rose more than 3 percent last month. Nissan Motor's December increase reflected an 8.3 percent gain at its namesake division and a 21 percent jump at Infiniti. The Nissan division set an all-time record with 1,426,130 U.S. sales in 2016, up 5.5 percent. 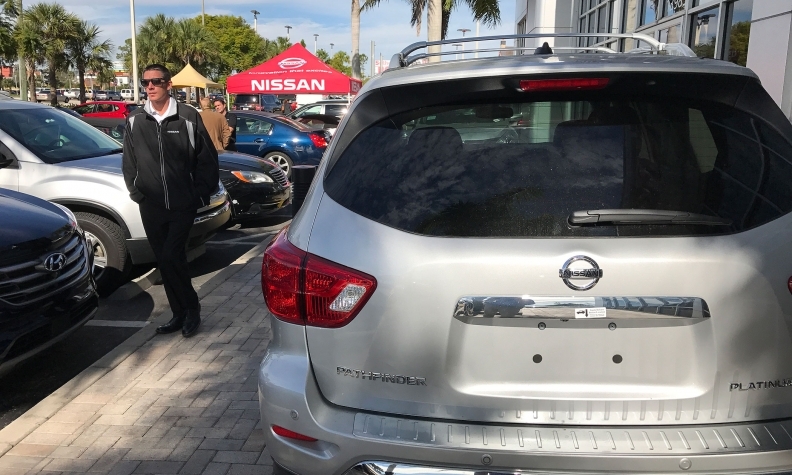 And in a sign of how strong light-truck demand has become across the industry, the Rogue crossover topped the Altima sedan to become Nissan’s top-selling U.S. model for the first time, with 2016 sales of 329,904, or an increase of 15 percent. Volume rose 6.9 percent at the Honda division and 1.9 percent at Acura. For the year, Honda Division's U.S. sales rose 4.8 percent to a record 1,476,582. At Ford Motor, sales were off 0.8 percent at the Ford division and up 18 percent at Lincoln. Toyota said volume edged up 2.6 percent at the Toyota division but slipped 0.5 percent at Lexus last month. Deliveries dropped 10 percent at FCA US behind a 6 percent decline at Jeep and a 34 percent drop in fleet shipments. Ram was the only FCA US brand to gain last month, with a 10 percent rise. Jeep and Ram posted U.S. sales records last year. Volume dropped 1.9 percent at Hyundai but rose 0.2 percent at Kia. The Nissan division set an all-time record with 1,426,130 U.S. sales in 2016, up 5.5 percent. Sales rose for the second straight month at the VW brand, but declined 7.6 percent for the year. At Mazda, volume dipped 1.8 percent last month. December deliveries dropped 6.4 percent at Mitsubishi and 7 percent at Mini. Last month featured one fewer selling day than December 2015 and one more weekend. 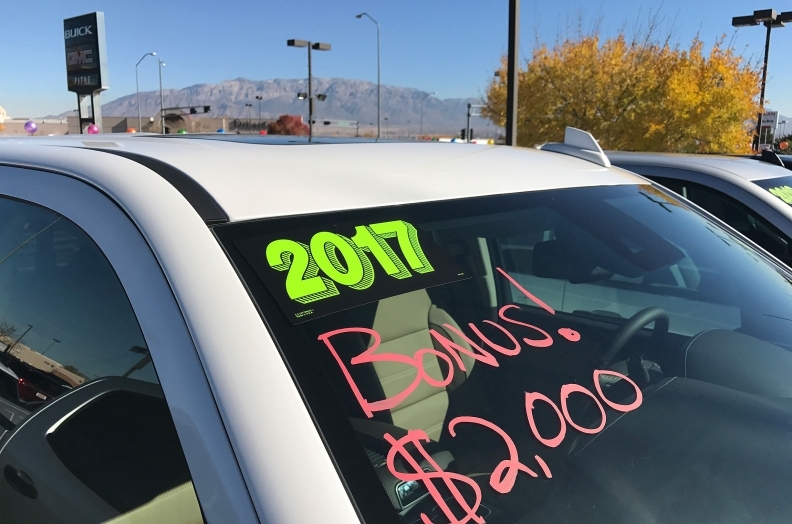 Automakers and dealers used heavy promotions and generous deals to lure consumers to showrooms last month. A post-election bounce in U.S. equity markets also provided a lift to industry sales in December, some analysts say. **Ferrari split off from Fiat Chrysler Automobiles on Jan. 1, 2016. ALG estimates that average incentives on new vehicles spiked 20 percent to $3,673 last month compared with December 2015. (See chart below.) Among the biggest spenders on December discounts were the Detroit 3 and Volkswagen Group. Even Subaru, which has been able to offer some of the industry’s leanest new-vehicle deals, saw average incentives more than double to $1,162 last month, ALG says. Since the 2008-09 Great Recession, U.S. light-vehicle sales had grown by more than a million units a year on average, through 2015, while delivering seven straight annual gains, the longest streak since 1909-17. Pent-up demand, more leasing, favorable finance deals and steady job growth have driven new-vehicle sales since the downturn. But analysts warn that rising interest rates and a peaking retail market will force automakers to cut production this year.